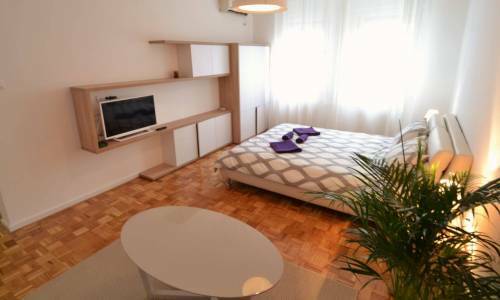 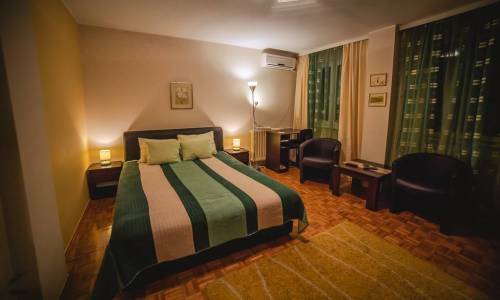 Studio apartment Gagarin is located in Blok 62 residential area, near the Piramida shopping centre. 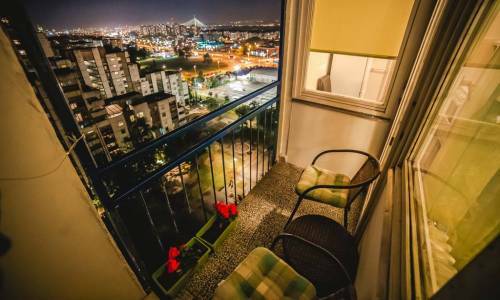 Near the apartment, you will find the Sava quay (reachable within 5 minutes), Delta City shopping mall (2 bus stops away), and the city centre is 10-15 minutes of driving away. 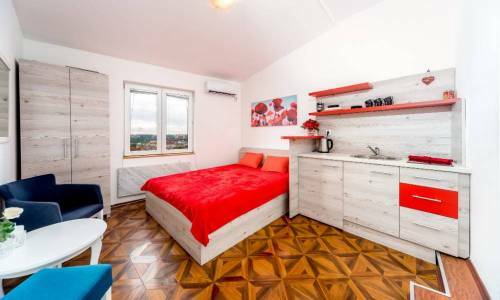 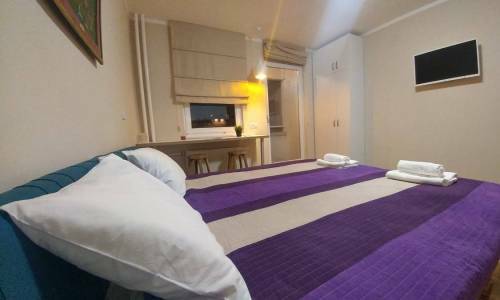 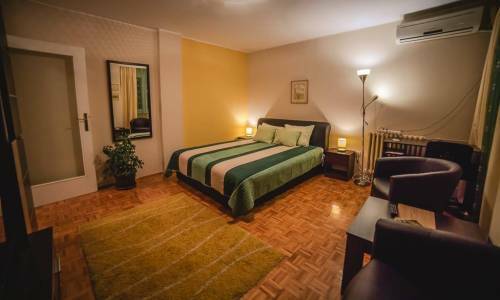 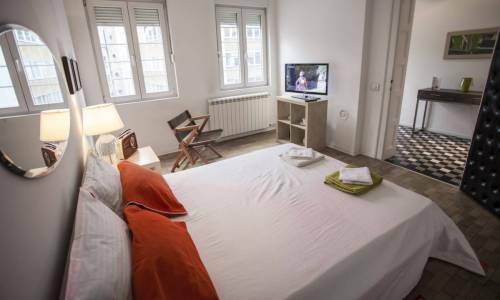 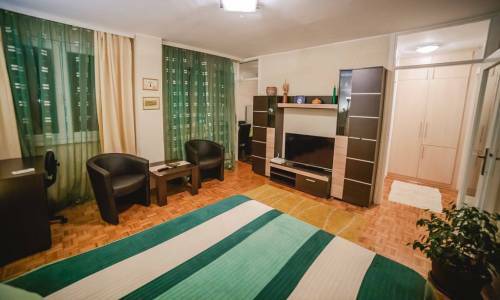 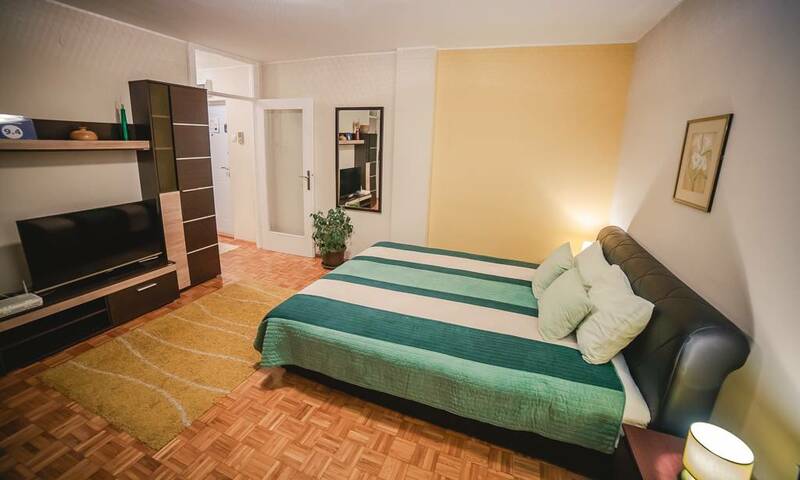 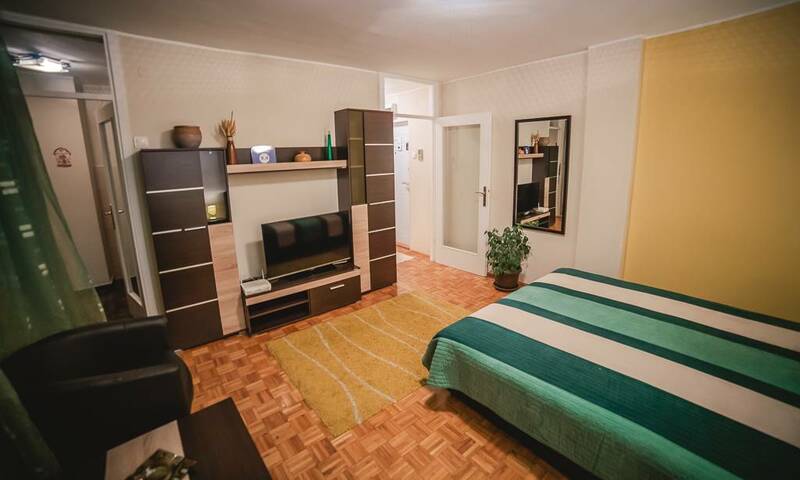 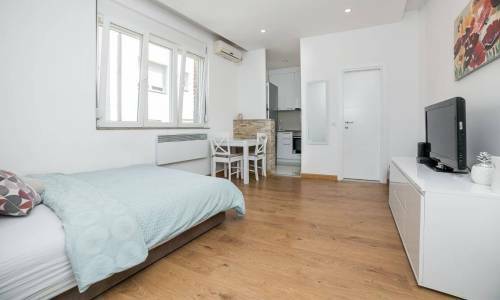 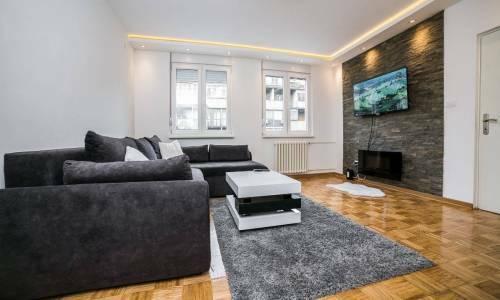 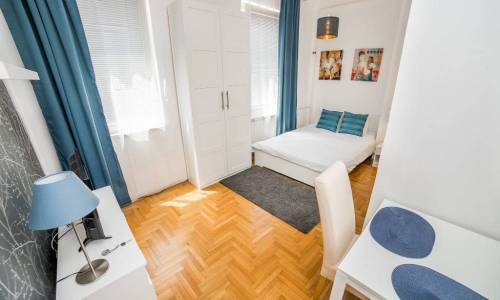 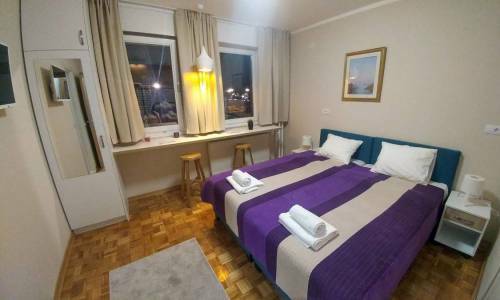 Studio apartment Gagarin has 30m2, and consists of 4 areas - the central area is dominated by the double bed and a seater sofa, the kitchen with dining area, the bathroom and the terrace. The kitchen is fully equipped with all the necessary items, and there's also the dining table with chairs. The terrace also has a table and two chairs. 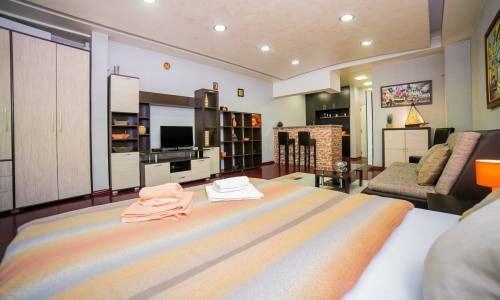 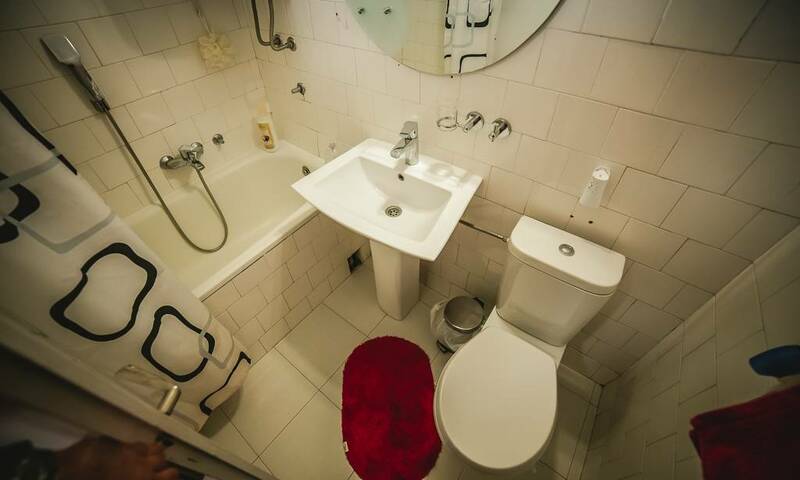 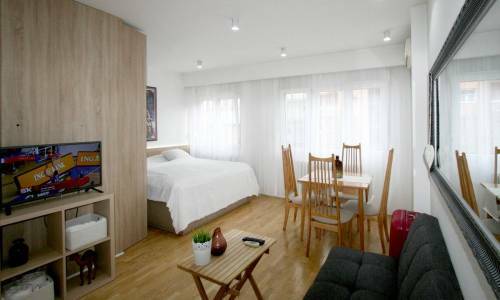 The area is quite compact, pleasant and sufficiently comfortable for the studio apartment for 2 persons. 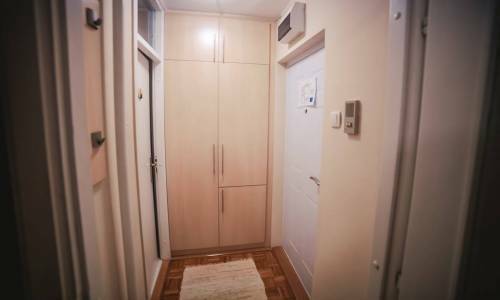 If you're arriving by car, there's always a free parking spot waiting for you in front of the building. 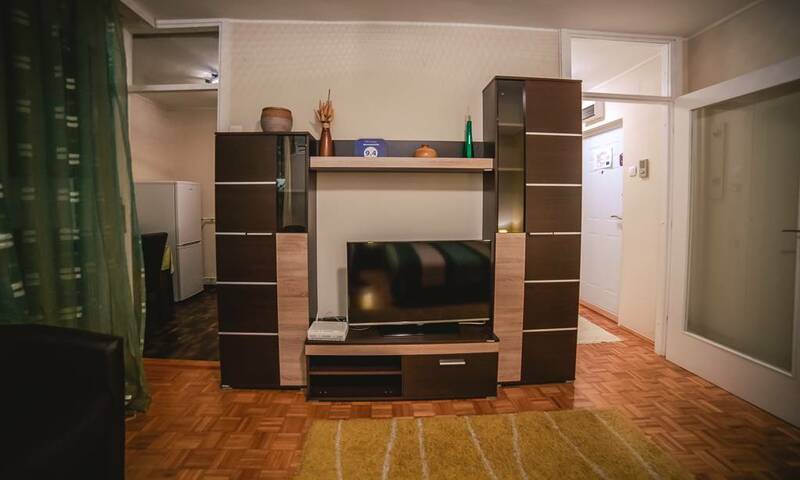 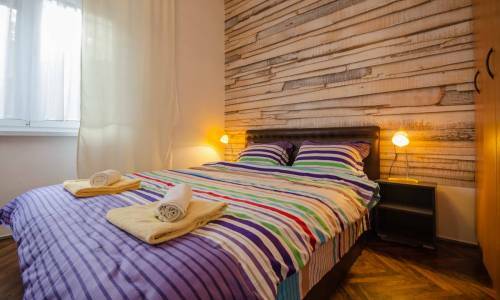 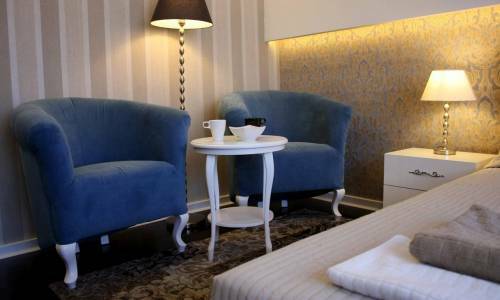 Gagarin is one of the most affordable apartments in our New Belgrade offer. 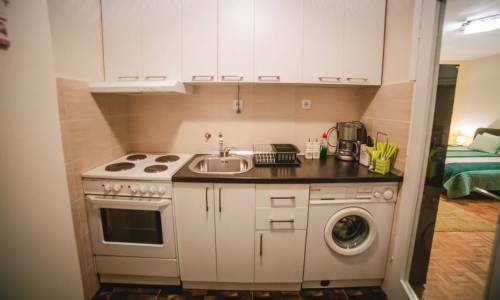 At the price of 30 eur/day, it will really serve all your needs.